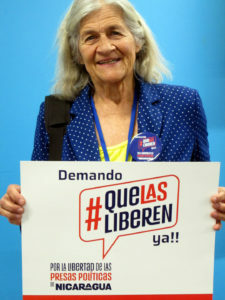 Photo from the ¡Que las liberen ya! campaign launch. Representatives from the United States are working on the issue of the exclusion of visas to women attending the CSW. They generated a petition which I signed. I have written asking for an electronic version of this document which I will attach if I get it today. went home that they found out that these delegates were of very low rank and did not have the power to grant their government’s support. Insofar as the NGO representatives thought they were creating joint civil society/governmental agreements, they were wasting their time. Something new to watch out for! I went to a panel called Catholics for Human Rights: Challenging the Holy See at the United Nations. Many people don’t know that the Holy See has had permanent observer status with the UN since 1964 as a non-member state. It uses that capacity to influence decisions. This is the only religion with a special status; the others are just regular NGOs like PEN. The panel was quite fascinating, with Catholics from many places all quite opposed to this situation, and the use of a “charade of statehood” (straddling a line about whether it is a country, the Vatican City part, or a religious organization which has never allowed a woman to vote on anything, the Holy See) to promote an anti-woman agenda. The panel recommended we tell people that the Holy See has this status, which could help in getting it withdrawn. I expect to go downtown to the ¡que las liberen ya! launch for the Nicaraguan women prisoners shortly. I am still wearing their lapel button, but it makes the machine beep and delays my security clearance. This is probably my last report, which I why I hoped Mary Rose Kaczorowski would send the text of that petition about the visas. She sent me a message many hours ago that she would send it very shortly. 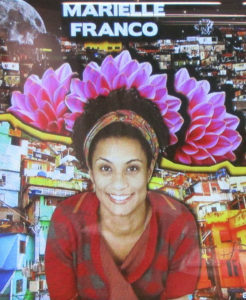 One of my photos is of a martyr, Marielle Franco from Brazil. The event started with a video about her. I am ashamed that I had never heard of her before. The mission of Chicago Network for Justice and Peace . . .
Read more about the City of Refuge Initiative . 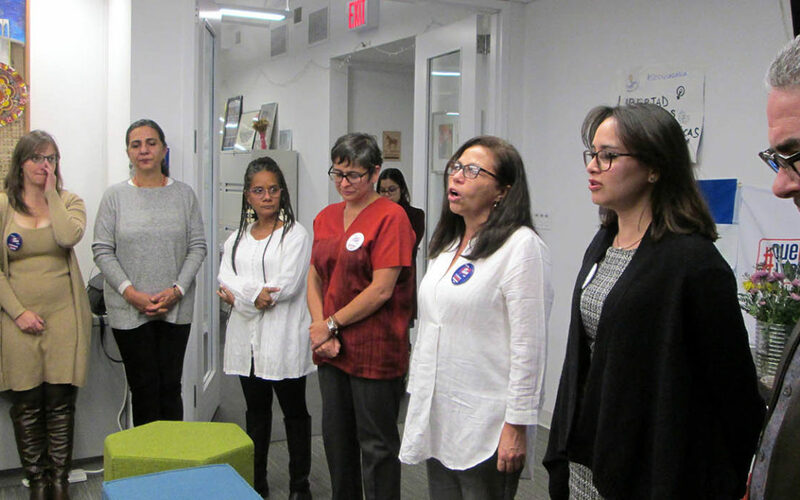 . .
We hope you will consider making a tax deductable donation to the Chicago Network for Justice and Peace.